Tickets for the first UFC pay-per-view to follow their landmark UFC 200 event in July, officially went on sale to the general public this week. You can log onto UFC.com for information on how to purchase tickets for the UFC 201 pay-per-view event. 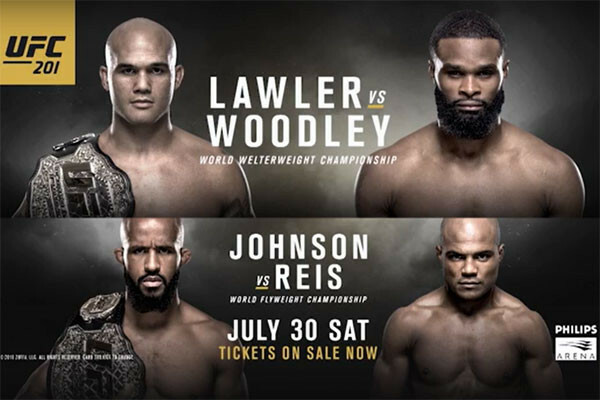 Scheduled for July 30th at Philips Arena in Atlanta, Georgia, UFC 201 features a main event of Robbie Lawler vs. Tyron Woodley for the UFC Welterweight Championship. Join us here at MMANews.com on 7/30 for live coverage of the UFC 201 pay-per-view! Featured above is the official video trailer for the newest episode, which will soon be available on UFC Fight Pass. It looks like CM Punk’s Octagon debut won’t be happening in late August after all. 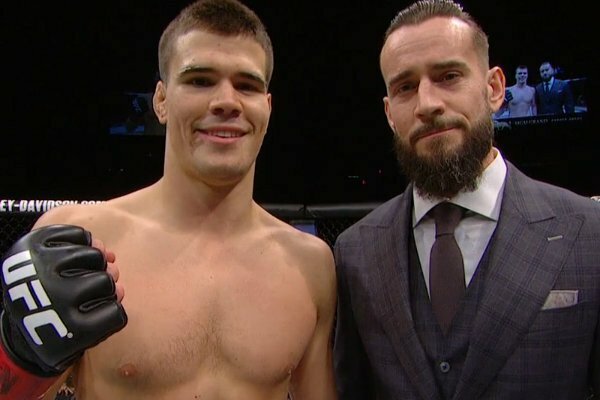 After rumors indicated that the Punk vs. Mickey Gall fight would be finally taking place under the Conor McGregor vs. Nate Diaz headlined event, UFC 202, on August 20th, reports are now circulating that claim their fight has been pushed back a bit. According to MMAFighting.com reporter Ariel Helwani, the Punk-Gall bout is now targeted for the UFC 203 pay-per-view event. The UFC 203 pay-per-view is scheduled to take place on September 10, 2016 from the Quicken Loans Arena in Cleveland, Ohio, and features a main event of Stipe Miocic vs. Alistair Overeem for the UFC Heavyweight Championship. 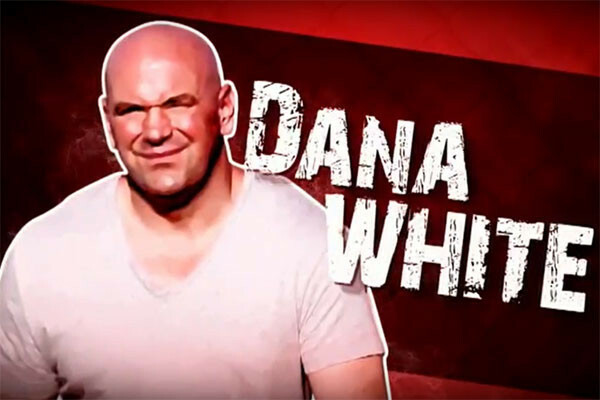 This week, UFC signed a new women’s bantamweight contender. 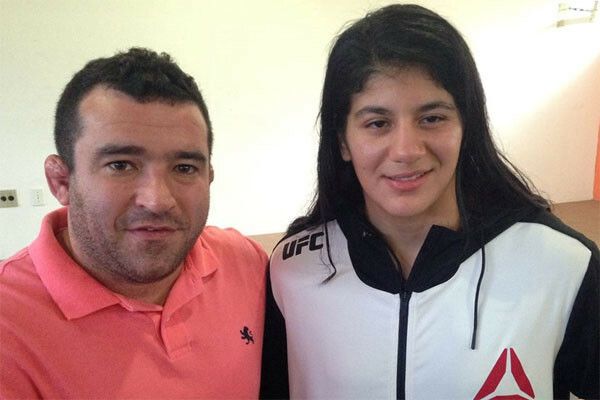 Undefeated Brazilian prospect Ketlen Vieira has reportedly signed a four-fight deal with the UFC, according to a new post she made on her official Facebook page this week. Vieira debuted in MMA back in 2014, stringing together six consecutive victories in just 17 months, and winning the Mr. Cage Bantamweight Title in the process. There is no word regarding when Vieira will make her Octagon debut. 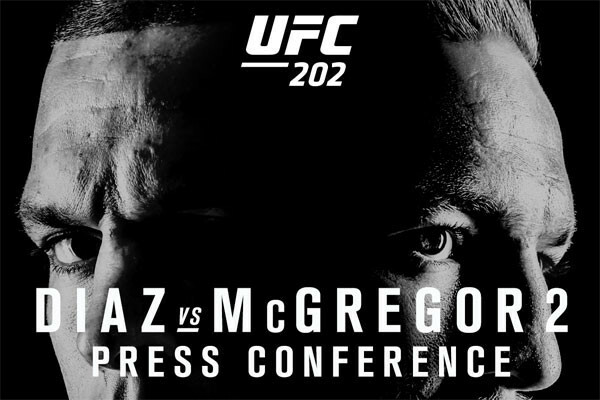 On Wednesday, UFC announced that they will be holding a press conference to launch the promotional efforts behind the UFC 202 pay-per-view in August, which features Nate Diaz vs. Conor McGregor 2. The press conference goes down during UFC’s International Fight Week on July 7 at 3pm/noon ETPT at the David Copperfield Theater at MGM Grand in Las Vegas, Nevada. The press event will kick-off International Fight Week, which features three straight events with UFC Fight Night: Dos Anjos vs. Alvarez, The Ultimate Fighter 23 Finale and the landmark UFC 200 pay-per-view event. UFC 202: Diaz vs. McGregor 2 scheduled for Saturday, August 20, 2016 at the T-Mobile Arena in Las Vegas, Nevada. As noted earlier this week, Georges St-Pierre made it clear that he has decided to make his MMA return, with the only thing that could stop him being an inability to reach a deal with the UFC. Now that St-Pierre is eyeing an Octagon return, who is he thinking about in terms of his first opponent? GSP spoke with Ariel Helwani on Monday’s edition of “The MMA Hour” at MMAFighting.com and made it clear that newly crowned UFC Middleweight Champion Michael Bisping is his first choice after hearing about Bisping’s recent comments about him. “There are two things I’m very proud of,” St-Pierre said on The MMA Hour. “There’s my title — my welterweight title that I won — and there’s another record that I hold for the most wins in UFC history. And now I have someone who’s challenging me for it in Michael Bisping. St-Pierre continued, explaining why he feels Bisping is “the man to beat” right now and talks about why he feels he would be the perfect opponent for his first fight back. “It’s something big,” St-Pierre said. “You just gave me the chills thinking about it, because it’s not the first time that people have mentioned it. I’m sure Michael, on his side, people have talked to him about it, because he created a lot of buzz. I always said, if I come back, I would come back from something very big. Bisping is the man to beat right now. He beat (Anderson) Silva, he knocked out (Luke) Rockhold. St-Pierre (25-2), last fought at UFC 167 back in November of 2013, earning a tough, contested, split decision victory over Johny Hendricks.